Back in October, Apple introduced a new way for people to pay for their iTunes purchases in the form of carrier billing, starting with O2/Telefonica in Germany. Now, the company has rolled out the option to Russian mobile carrier ‘Beeline’ as well, who has also turned on the ability to make payments in iTunes through their billing system, TechCrunch is reporting. 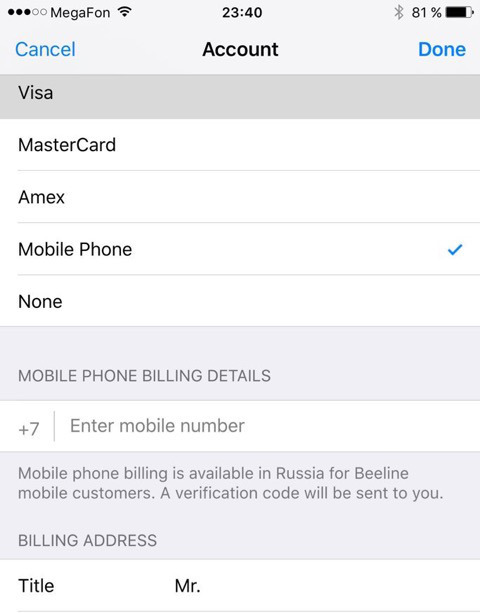 Beeline users in Russia now have the option to enter their phone numbers instead of a credit or debit card number into their iTunes’ account information, as shown in the above screenshot. Tapping on the mobile phone option offers the message that you can activate payments this way if you are a Beeline customer, meaning that you will either be charged to your monthly bill, or payments will be deducted from your topped-up, pay-as-you-go account. 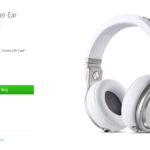 The source claims that U.S.-based startup Boku is providing the mechanics behind this as Apple’s partner. TechCrunch has confirmed that Boku is also the company working on the billing integration with O2 in Germany that debuted last month (we were not able to get a confirmation at the time from Boku, Apple or O2). We have contacted both Apple and VimpelCom, Beeline’s Amsterdam, Netherlands-based owner, for a statement on the service that is now live in Russia. Countries like Russia represent a lot of growth for Apple, and so it’s creating a way to make it easier for consumers in these markets to pay to use the virtual services like apps and iTunes that make the iPhone so popular in the first place. Of course, this may not sound like a big deal in regions like Canada, where credit / debit cards and bank account penetration are both very high.